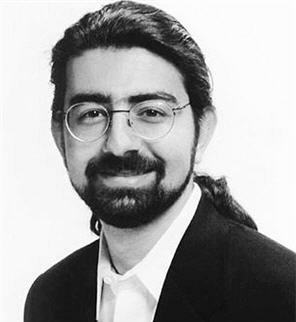 Pierre Omidyar, The Founder of "ebay"
In the Internet world, there are a number of popular names. Call it like Jimmy Wales, founder of the Wikipedia site. Then there's Larry Page and Sergey Brin, two key figures founding the Google search site. There's also Jerry Yang, founder of Yahoo sites. Although not as popular as the names above, there is one name that also has an important role in the world of the Internet, especially regarding trade and business in cyberspace. He is Pierre Omidyar (41), founder of eBay, the largest online trading site located at www.eBay.com, who was born in Paris, France, June 21, 1967. Although born in France, Omidyar is actually bloody Iran. From childhood he showed an interest and ability in computer programming. Ability of a computer program he not only hone in school, but also outside of school. He volunteered to help the library in high school where he learned to develop an online catalog. Apparently, from this volunteer project Omidyar started a brilliant career because from there he has a lot of valuable experience and pave the way to truly become an expert in computer programming. In 1988, Omidyar graduated from Tufts University with a BS (Bachelor of Science degree) in computer science. In 1991, his career began to look when he joined the company Claris, a subsidiary of Apple Computer. There he served as a consumer software engineer. Then in 1994, he founded Inc. Development Corporation, which in turn had been developed and named eShop. At that time, eShop is the technology leader of software (software) Internet-based commerce. In 1996, acquired by Microsoft. In 1995, Omidyar set up a domain named EchoBay.com, but in fact the domain has been owned by someone else. Finally, Omidyar shortened the name to eBay.com. Beginning of the founding of eBay, Omidyar is actually created by the intention to help a close friend to find a buyer for the products it sells. Apparently, just for fun to help a friend, a brilliant business idea. Although initially launch an eBay business is a test of internet-based business that was not there in cyberspace, turned out to bring more benefits for Omidyar. The success of the site eBay, according to Omidyar, in an interview with Robert D. Hof of BusinessWeek is the espoused values ​​and the power of eBay in the community formed. The values ​​adopted in the eBay business is that he believes that man is basically good. Believing that every person has an advantage that could be given to others. In addition, he also believes that honesty and openness can bring good environment on human beings. Recognize and respect everyone as unique individuals, and apply the golden rule of business that eBay treats every person involved with the best possible. Because, basically, every human being wants to be treated well, people should treat is also good for other humans. Referred to in the business community that it is the sellers and the buyers are there and together form a continuous world of online commerce. Thanks to the values ​​espoused that eBay now has hundreds of millions of these members. eBay also has a web site that is spread in many countries, like USA, Canada, Holland, Ireland, France, Germany, Netherlands, Spain, Sweden, Switzerland, Italy, Austria, Belgium, India, Australia, New Zealand, China, Singapore, Taiwan, Hong Kong, Malaysia, the Philippines, and South Korea. EBay's success would lead Omidyar into a billionaire. However, success does not make it forget yourself or forget the surrounding community. In 1998, with his wife, Pamela, Omidyar founded eBay or foundations Omidyar Foundation. The foundation is providing free education on technology and application of these technologies on society requires. He believes that good investment given to the public that it is voluntary (such as eBay when he founded the first time, with the intention of helping friends and business community), will certainly produce something positive in the future.